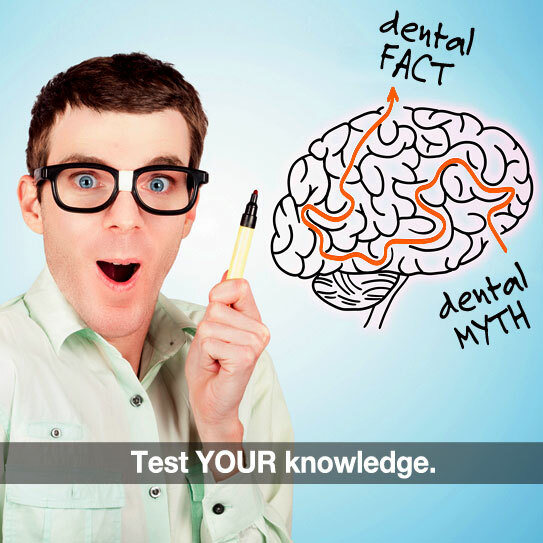 Dentist in Chesapeake | Do You Recognize These 6 Common Misconceptions About Dental Health? DURING MEDIEVAL TIMES, people believed they could cure a toothache by driving a nail into an oak tree. Silly, right? There are still some crazy ideas out there about teeth—ideas that have very little to do with the facts. Have you ever fallen for one or more of these modern misconceptions? Most people have. Technically, cavities are caused by carbohydrates interacting with bacteria on your teeth to create acid byproducts. Carbs include sugars, but cavities can just as easily be caused by crackers, potato chips, and bread! Kids are NOT inherently more prone to decay… They’re just not as good at brushing! Teach your child thorough brushing techniques—helping them out until they’re dextrous enough to do a good solo job. Decay can eat clear through your enamel and dentin before some people feel it at all! Catching tooth decay early typically allows more of the tooth to be saved, and can spare you added discomfort and expense. Actually, that’s a really bad idea. Bleeding gums are often the first sign of gum disease. This happens when bacterial infections inflame your gums due to a lack of efficient cleaning! Sure, floss gently if your gums are sensitive. But be thorough and extra diligent! Not always the case. One of the biggest risk factors for decay is having had it before. Dental crowns and fillings are awesome but not perfect. They have nooks and crannies where bacteria can hide—especially as the restorations age. The lesson to be learned? Have your teeth checked regularly to make sure all is going well. Remember, our greatest weapon against tooth decay is knowledge. Let us know if you have any questions about any of the ideas above, or any of your own that we haven’t covered yet. Thanks for sharing our practice with you extended family, neighbors, friends and coworkers. We appreciate the trust you place in us! ← SuperBowl Sunday is Around the Corner- Who’s Your Favorite Team?